I can’t believe it’s taken me so long to try a ‘Peeling Gel’! What exactly is a Peeling Gel? So for those of you who have never tried one – a peeling gel is essentially a chemical exfoliant that is made up of acids and enzymes instead of microbeads like in the case of a physical exfoliant/scrub. The enzymes and acids in a peeling gel penetrate the skin and dissolve/break down all the dirt, debris and dead skin cells. The most common chemical ingredient that a peeling gel will have is an AHA (alpha hydroxy acid) or a fruit enzyme. One of the biggest reasons I love Peeling Gels is because they are so gentle, yet effective at exfoliating the skin and because I have acne-prone, sensitive skin a physical exfoliant is just too abrasive for my taste. 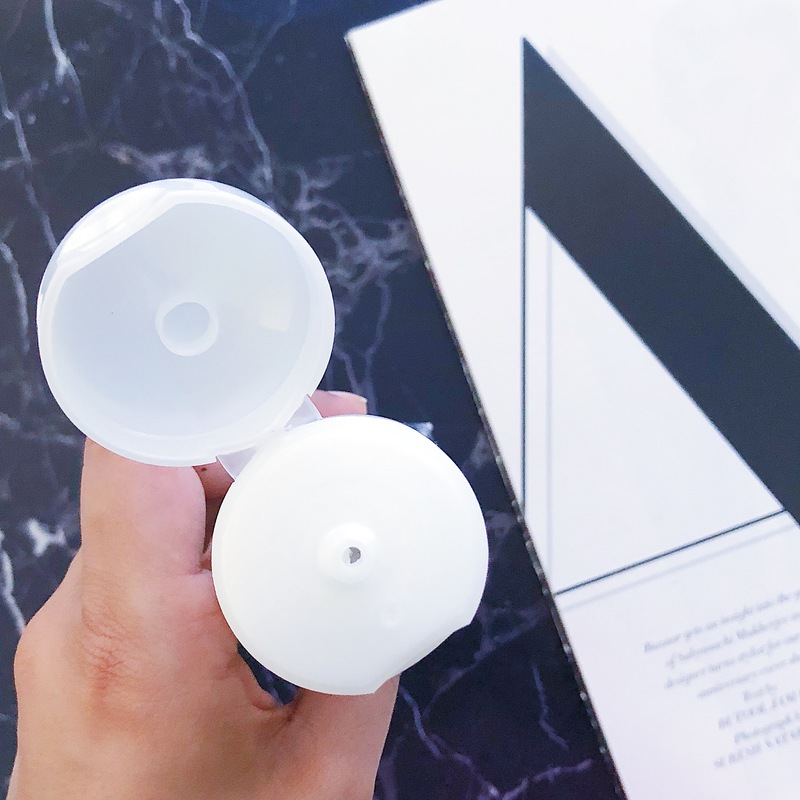 It’s a simple white squeezy tube and it houses 150ml of product. 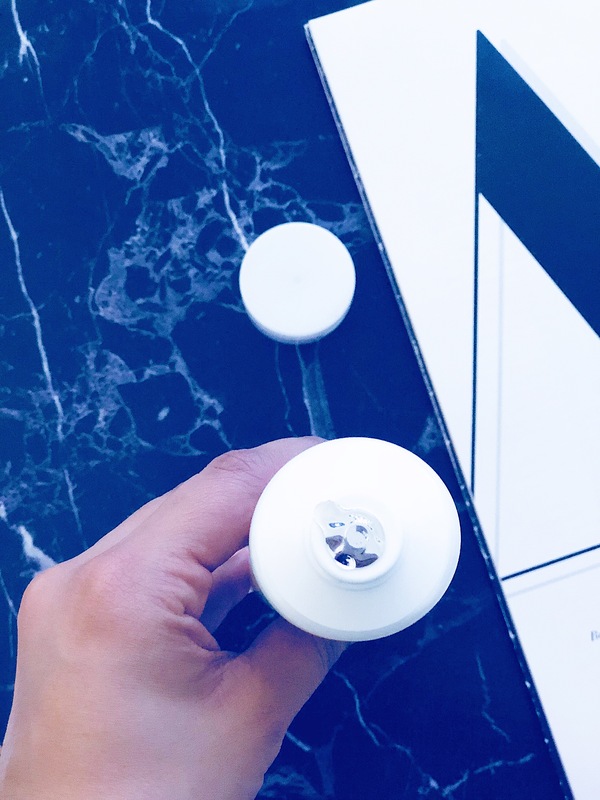 As you can see in the picture, when you open the cap, there is a safety seal to ensure that the product does not leak. You can also see that the packaging clearly states that the Key Ingredient here is Rich Lotus Flower Ferment Water – so that is the chemical exfoliant that will work to dissolve and break down all the gunk and dead skin cells on my skin. 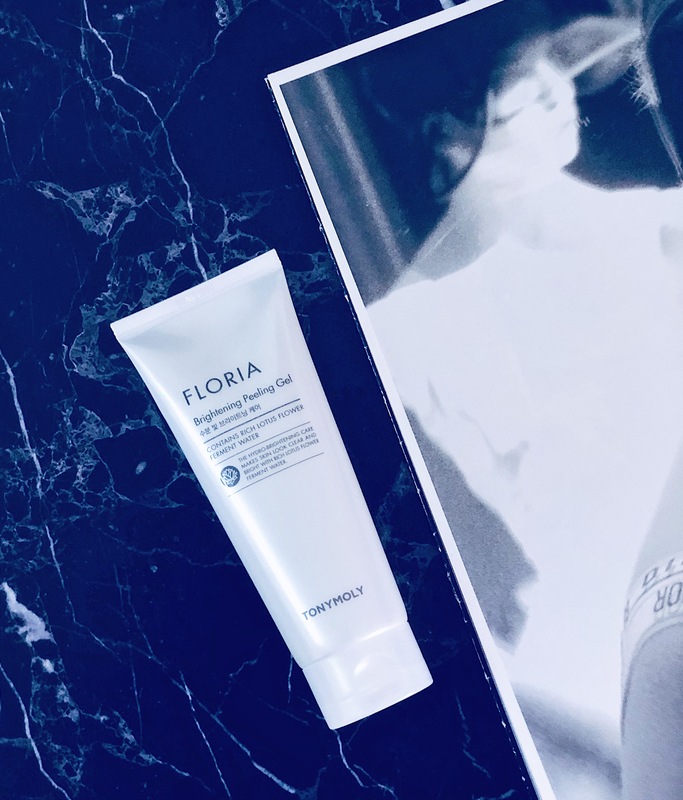 I personally love the texture and scent of the Floria Brightening Peeling Gel. It’s a slightly thin and runny gel consistency and it smells like a combination of citrus and flowers! Weird way to describe it – but trust me that’s exactly how it smells! The scent is light and it fades away quickly, so it should be no problem for those of you that do not like fragrance in their skincare products. As this is a chemical exfoliator, it does not contain any microbeads to scrub your skin. Instead, the TonyMoly Floria Brightening Peeling Gel contains two AHAs – citric acid and lactic acid, plus flower and fruit extracts. What’s also wonderful is that this Peeling gel is alcohol-free, so a great product for those of you who have dry, sensitive or irritated skin. To use, all you have to do is apply a thin layer of this gel all over your face and neck (note – cleansed and dry skin) and then start to gently massage it into your skin using your fingertips (dry fingers… do not use any water) in circular motions. You’ll notice that the gel starts to ‘ball-up’ on your skin – that’s all the dirt, grime and dead skin cells that the acids + enzymes are breaking down. I don’t know how I used physical scrubs earlier, but there is no way I’m ever going to use them again…no sir! 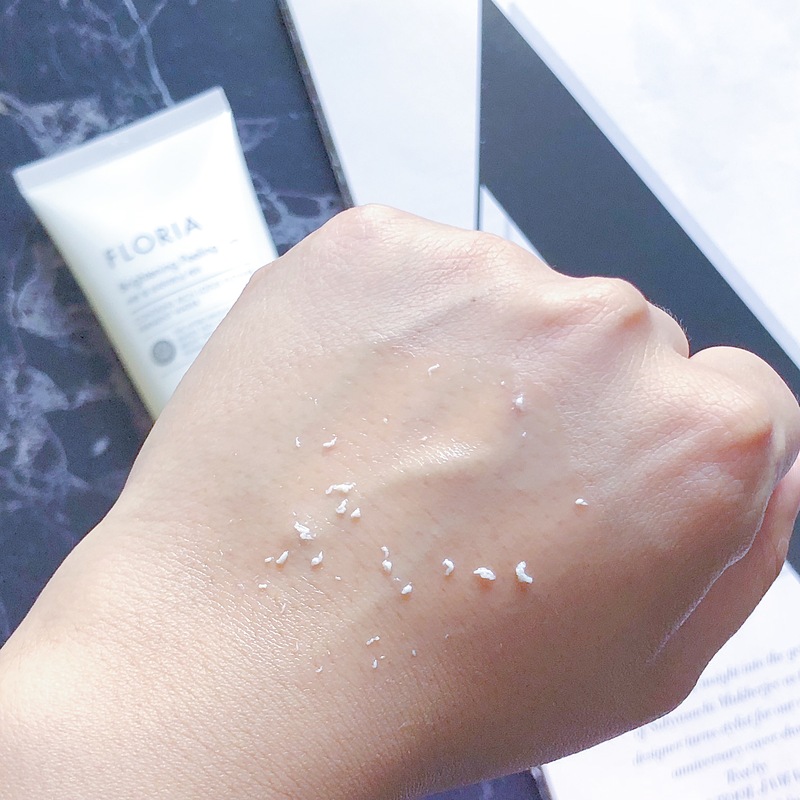 The TonyMoly Floria Brightening Peeling Gel is a gommage peeling gel and a holy-grail status for me 🙂 I use it once a week to make sure there is no dead skin or product buildup on my skin. I also feel you can easily use it twice or thrice a week and it will not agitate or sensitise your skin. I personally love to use this peeling gel on days when I need my skincare to absorb better and my makeup to sit better on the skin. In terms of what this does for my skin – I’ve noticed that this does a fantastic job at exfoliating my skin in the gentlest way possible and leaves my skin feeling brighter and hydrated! It has never agitated my skin, even on days where I have active breakouts. It has never broken me out or caused any reaction on my skin. Rich Lotus Flower Ferment Water – this helps to nourish, hydrate and brighten your skin. It is rich in vitamins, minerals and antioxidants. Korea Plum (Maesil) Extract – this is the citrus acid component and it helps to exfoliate your skin in a gentle way and also improves the moisture levels and skin elasticity. 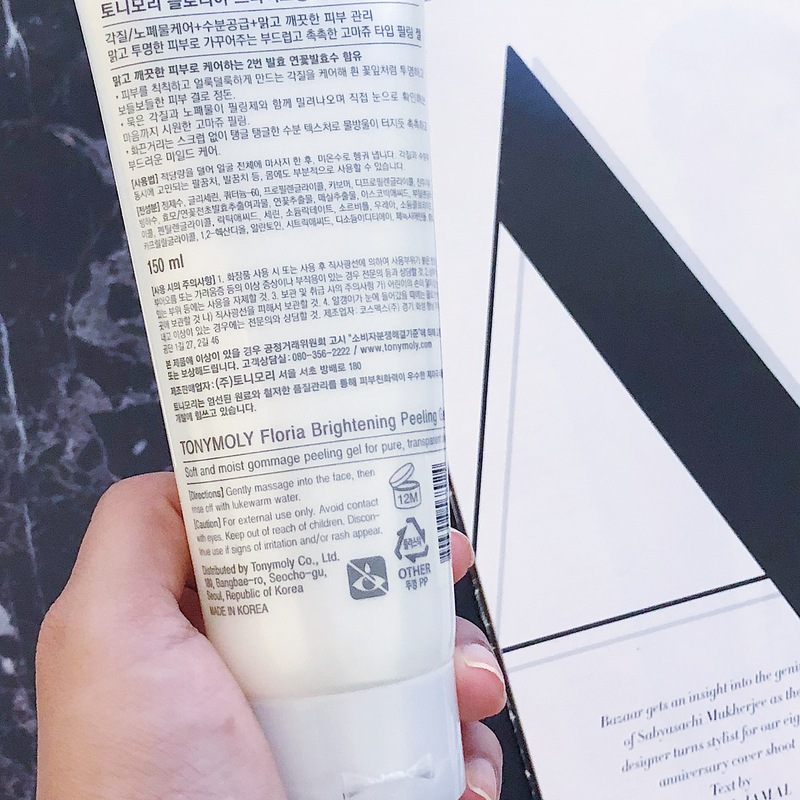 Do I Recommend theTonyMoly Floria Brightening Peeling Gel? I think this is such a wonderful product and something that will work for ALL skin types. It’s particularly good for those of you with dry and sensitive, acne-prone skin who do not get along with physical scrubs. Also a great one for those who have a stressful lifestyle and often have uneven skin tone and dullness. 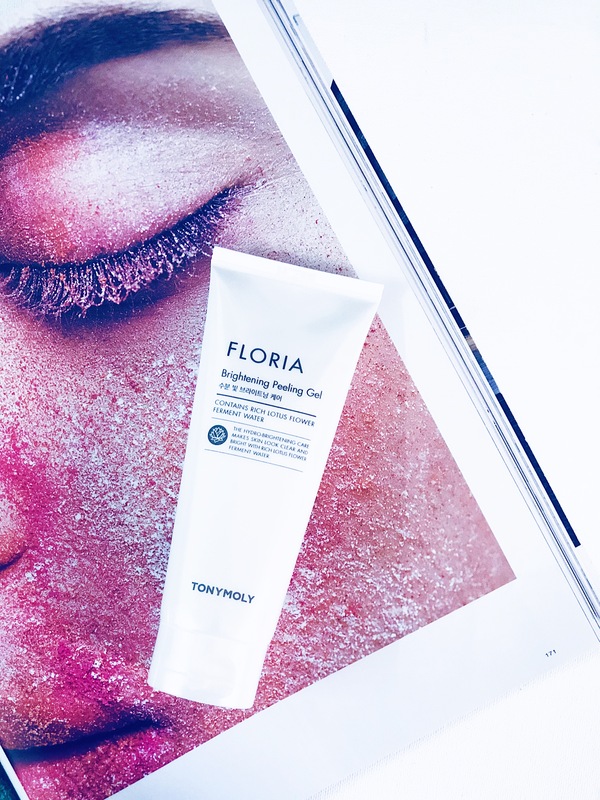 Top Tip: don’t just limit its use to your face and neck -the TonyMoly Floria Brightening Peeling Gel works wonderfully for any area on the body where you have dry, rough skin, for example, your feet, knees and even elbows!